“A Must See!” This great new custom-built home is located on one of the nicest streets in New West. Soaring 10' ceilings in the foyer greet you as you enter this feature packed home: 8' doors throughout the main floor, a kitchen straight out of a magazine with large island, high-end Kitchen Aid appliances, picture window above oversized deep sink & Groeh faucet, marble & glass tile backsplash surrounds the quartz counter tops, matching spice kitchen has its own five burner gas stove & 2nd compact fridge & freezer, generous family room with stylish elevated fireplace with built-ins, convenient laundry room & stunning lighting fixtures complete this well laid out main floor. 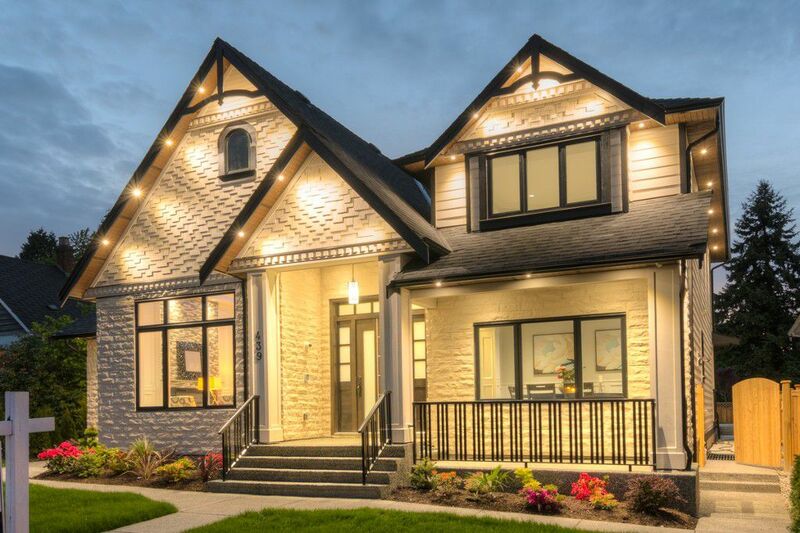 4 bdrms above: large master bdrm with opulent 5 pc ensuite includes stand-alone tub, double sink & shower with rain shower head, 2nd bdrm has its own 3 pc bath & walk-in closet, 3rd & 4th bdrms share a 4 pc bath. Generous 2nd level landing. 5 zone radiant heated floors & air conditioning provides constant comfort year round.